SAN ANTONIO - UPDATE: The San Antonio Housing Authority placed third in the Smart Community Networks category of the National Wireless Innovation Challenges, winning $100,000 from the National Science Foundation and internet company Mozilla. 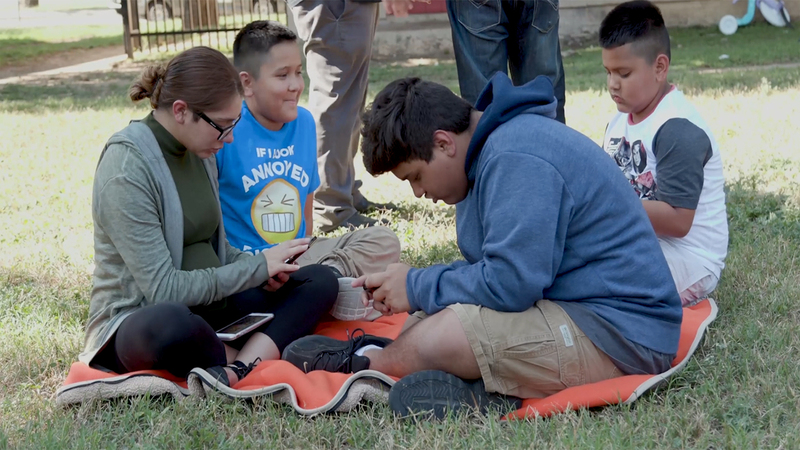 The San Antonio Housing Authority is competing for thousands of dollars in hopes of providing Wi-Fi to low-income homes. SAHA created a device called Smarti, a solar-powered light pole that provides Wi-Fi connectivity for up to 25 users at the same time. Joana Alvarado, director of innovative technology at SAHA, is part of the team that created the device. Alvarado hopes to have Smarti installed at the Cassiano Homes on South Laredo Street, where residents on average have a family income of $9,000. "It is our largest property. We wanted to have as much impact as we could," Alvardo said. "They (residents) can't afford to have this higher technology." Sharon Anderson, a Cassiano Homes resident, welcomes the project. "I think it would be a good idea for the kids. Especially, when they come home from school, they have something to do their homework with," she said. SAHA is competing against other organizations for funding from the National Science Foundation and the tech company Mozilla. Of 90 teams around the nation, SAHA was granted $10,000 for a working prototype that's being tested at Cassiano Homes. SAHA will present the prototype Friday during stage two of the competition. If SAHA wins, the housing organization will move to stage three, a demo event in California.